← Are PokemonGo Gift Boxes Worth It? Tips to Catch Pikachu with Christmas Hat! 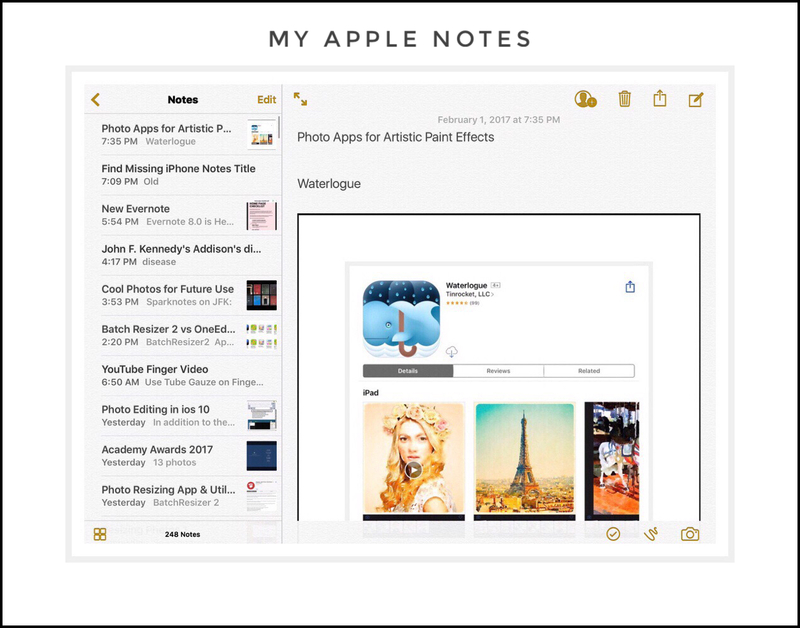 Apple’s significant enhancements to the Notes application in recent years has brought about much greater usage of the app. Some of the new things that you can do include vary the font size and weight, as well as create lists. 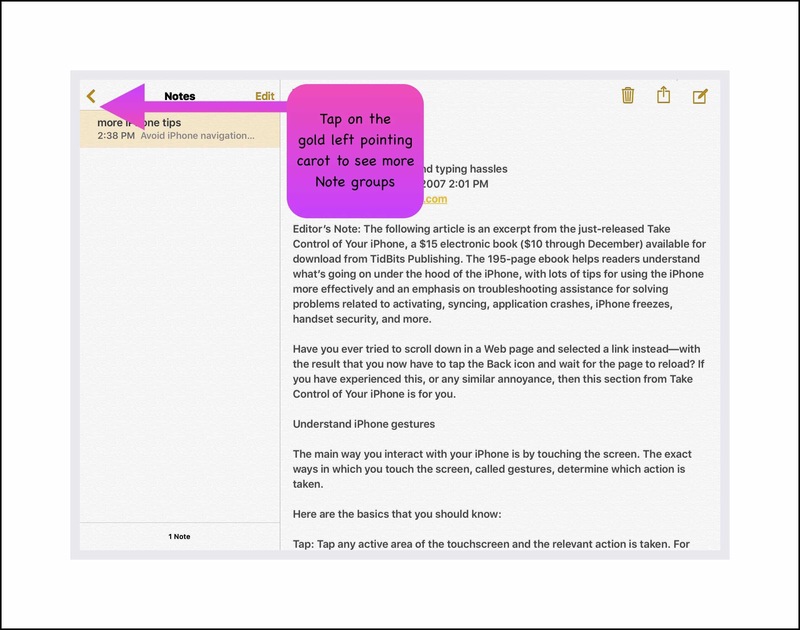 You can also include handwritten notes or markup photos, and collaborate or share your notes easily with others now. But, with all these improvements come a few more problems too. One big problem is finding the notes you’ve written using your iPhone on your other Apple devices. This isn’t really a new problem, because the Notes app has offered several different Note accounts that are tied to your email accounts for many years. Apple sometimes calls these Note groups. But for many who are using the Note’s app a lot more now or are essentially using it for their first time, the whole Note’s group concept can be really confusing. This is made worse by the fact that there is no good documentation on how these groups function. Even worse is trying to discover how to change the default group for your iPhone once you know that it’s where your problem originates from. Because it appears that Apple has made the default group the one they call ‘On My iPhone.’ But there’s no apparent or easy way to change it. That’s why I wrote this post. I was at the Mayo’s Clinic in Rochester most of last week undergoing my 1st Executive Physical. I was using the Note’s app on my iPhone a lot. But I couldn’t get those notes to show up on my iPad! Worse yet, I couldn’t find any current instructions on how to go about changing the default group for iPhone Notes. 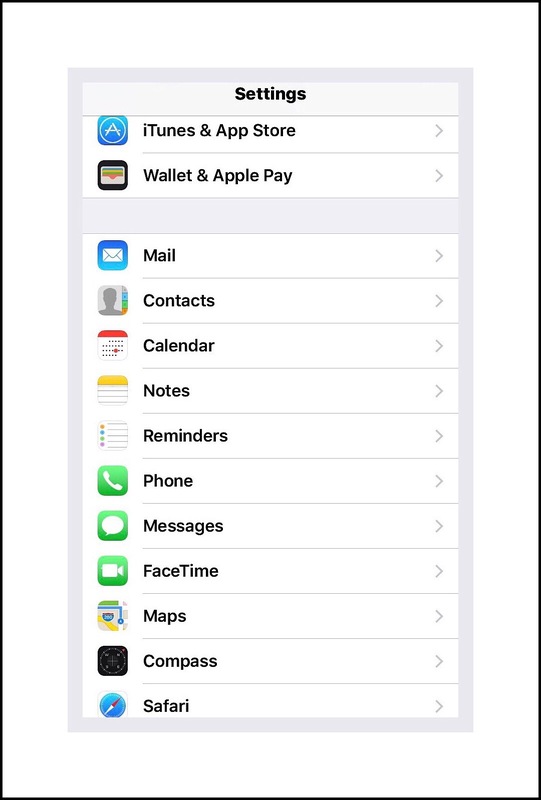 Older instructions didn’t pertain because you change this in Settings, and the Setting’s app has been drastically changed and reorganized beginning with ios 8. As I mentioned above, the ‘On My iPhone‘ note group appears to be a standard default for the Notes App. The main problem with this is that most people use their iPhone Notes app a lot more for creating new notes than they do using an iPad or Mac computer for creating new notes. Yet they will most likely want those notes to be available on all of their ios devices. But this note group only appears on the iPhone! This problem is compounded even more if you happen to have 2 iPhones like I do. I use the iPhone 6+ for the camera primarily, and the iPhone 6s as my cell phone. But then I have the 6+ as a backup cell phone should anything happen to my 6s, which is really helpful for me when we are traveling. This method also works great for me because I’m a klutz and I drop my iPhone a lot! Also, the 6+ camera is much better than the 6s, which I assume has something to do with the larger image processor, which lets in more light. The end result is that photographs taken on my 6+ are generally much better than those taken on the 6s…even though I have all other settings the same! I think I can confidently state that this is the #1 problem experienced by ios Notes users…it arises for those people who are using iPhones with the Notes app, and who have their notes stored under the ‘On My iPhone’ category. A contributing factor that makes this problem even worse is the fact that the ‘On My iPhone’ category is the default category for many iPhone users. How this arises is complicated and not really within the scope of this post. But, this is really an important aspect because many people aren’t even aware that their iPhones have different note groups! If someone is oblivious to this fact (like I was years ago when I first started using an iPhone)…it’s likely that their Notes will sometimes inadvertently end up in different groups without their knowledge, which only compounds the initial problem even more! It causes people to wonder why some notes appear on other devices and why others don’t. The end result is that people grow increasingly frustrated after a few experiences of taking down some important information on their iPhones…and then later not being able to find that information again on other devices, and despite their sometimes spending a lot of unnecessary time searching for the data in vain. Because of this many people assume that the Notes app isn’t a great method for sharing notes across devices! 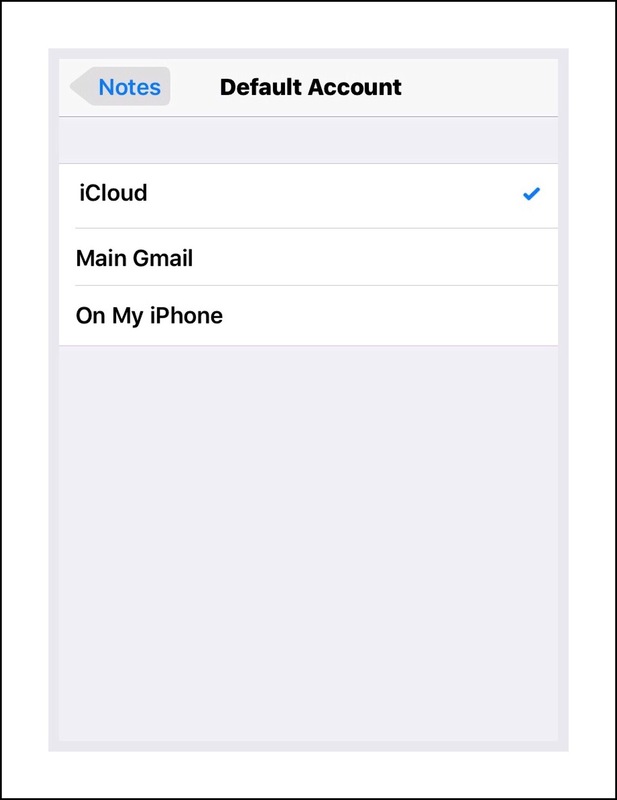 All one needs to do to make their notes appear on all of their devices is to change the default Notes group on their iPhone to the iCloud Group. Sadly, Apple doesn’t provide users with the support they need to accomplish this. Even if someone is able to recognize what is causing the problem of their missing notes, finding a solution can be fraught with frustration. I know, because this is the exact situation I found myself in about a month ago! I spent way to much time researching this and trying to come up with the solution…a solution which is actually quite simple if you can only figure out how to do it. The solution is to change your default Notes group to something other than the ‘On My iPhone’ group. Once I had my research narrowed down to just this one concept…I wasn’t about to drop it. I knew there had to be a way…and once I finally figured out what it was, the solution itself ended up being quite simple too! 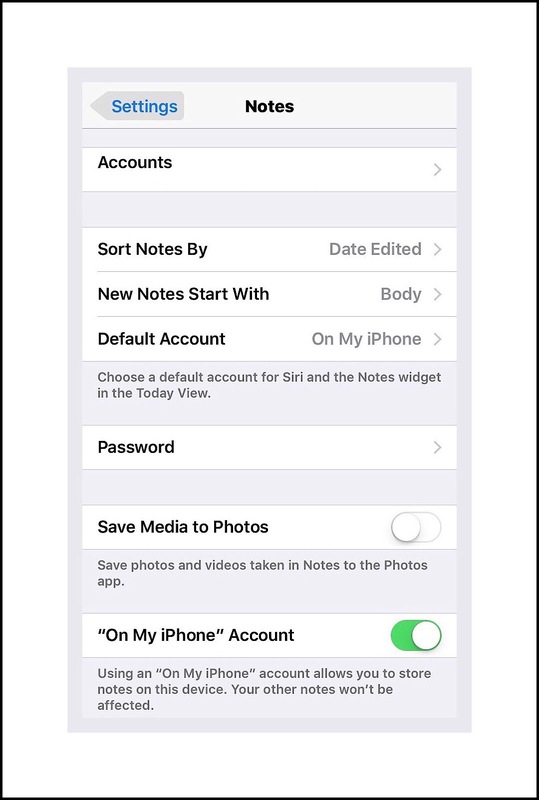 Now, when you want to see the notes that you created on your iPhone while using a different ios device, just open the Note’s app and tap on the carot in the top left corner of the screen to get to all the Note Groups you currently have set up. 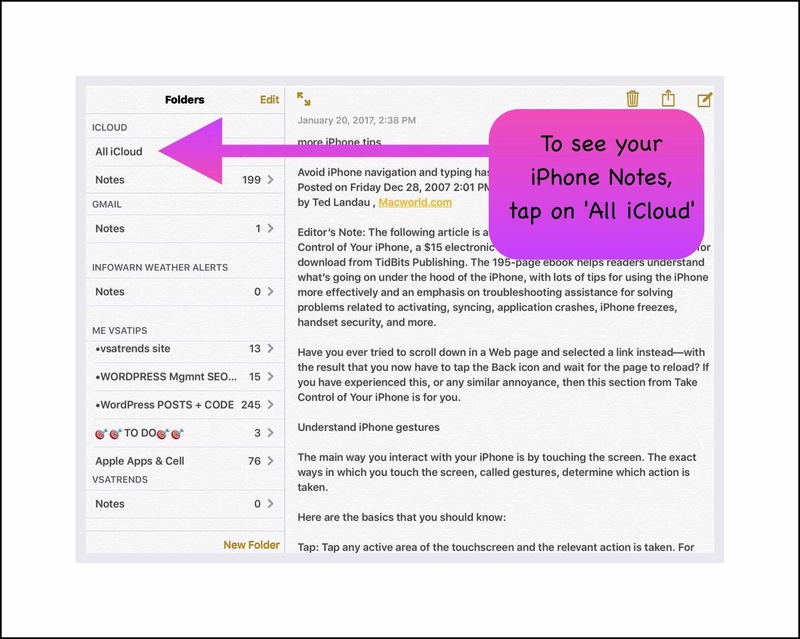 Then, if you’ve changed the default to iCloud, you can tap on that to have all of the iCloud notes displayed. 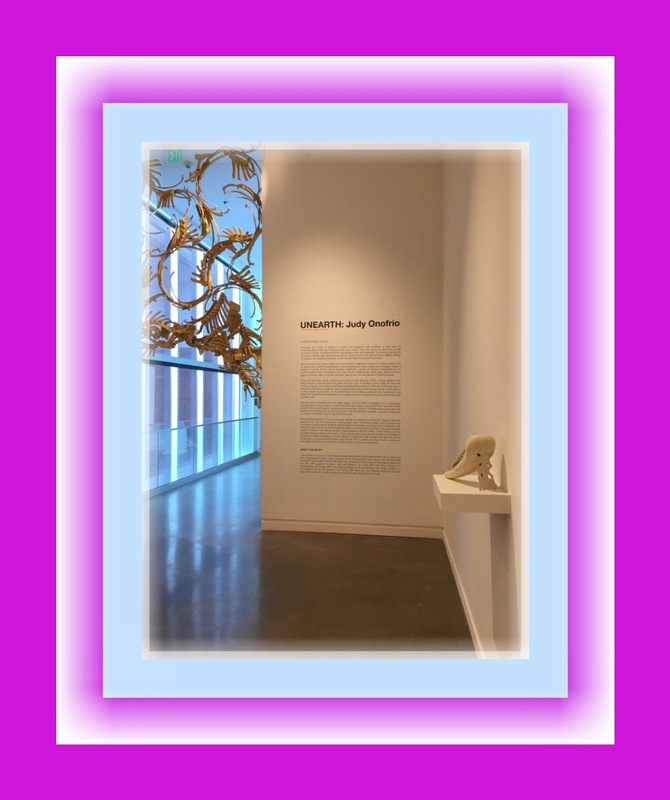 This entry was posted in Apple Devices, ios, ios apps, iPad, iPhone and tagged Apple Notes, Change Notes default, Find missing iPhone notes, ios 10 notes, iPhone Notes default, iPhone On My iPhone Notes. Bookmark the permalink.